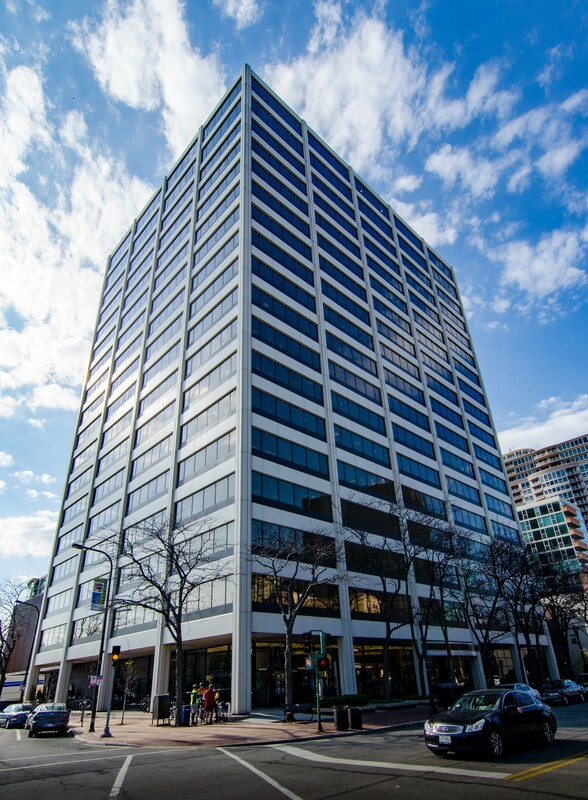 This high-rise office building shares its architect with downtown's famed Lake Point Tower. 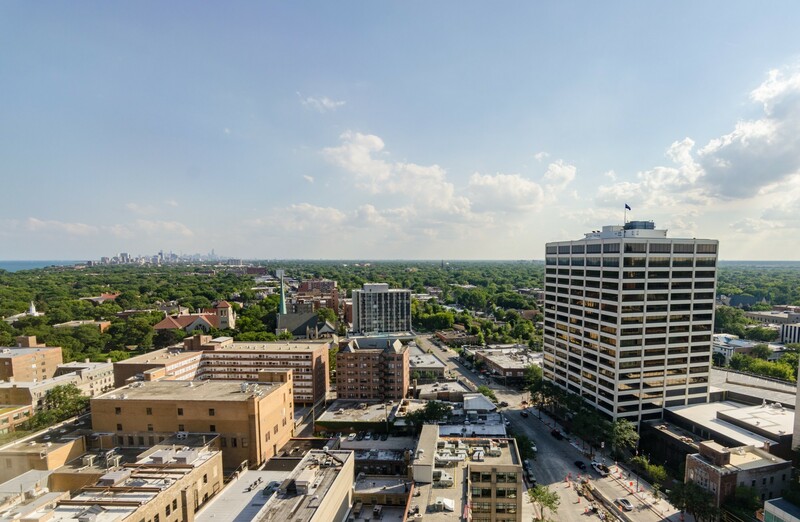 It was originally home to the American Hospital Supply Corporation. 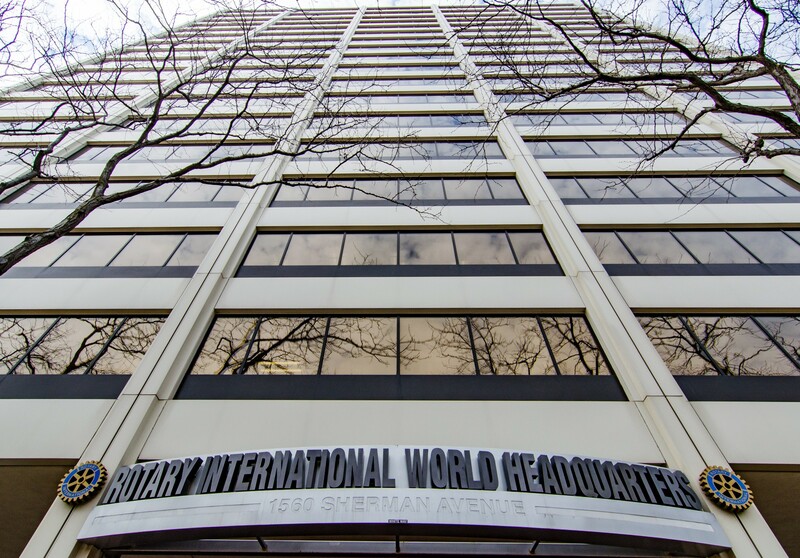 Rotary International, a major global service organization, purchased the building for its headquarters in 1987. 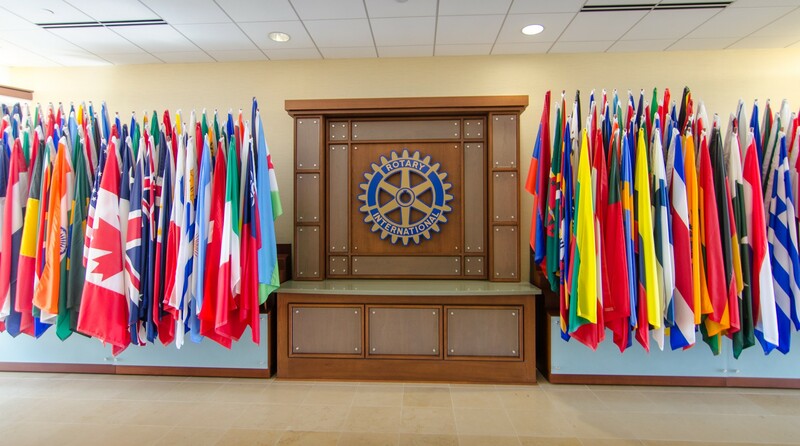 The lobby display chronicles Rotary's success towards ending polio worldwide. 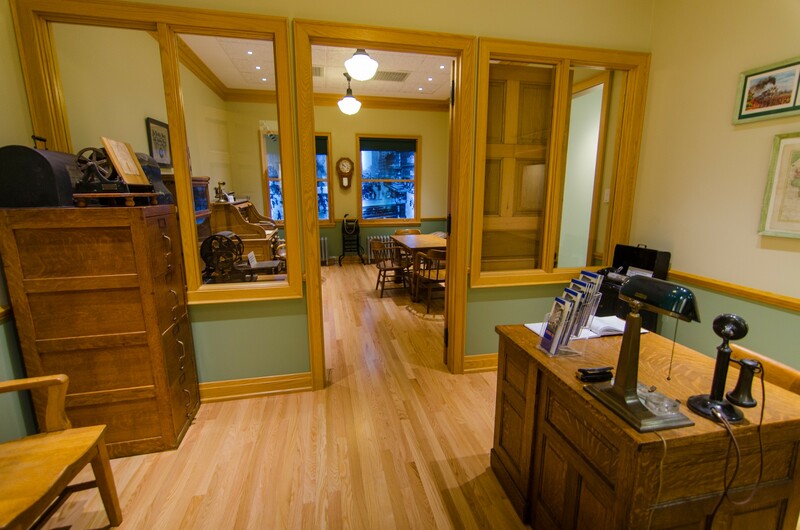 Room 711 is a recreation of the office where the first Rotary meeting took place in Chicago in 1905. 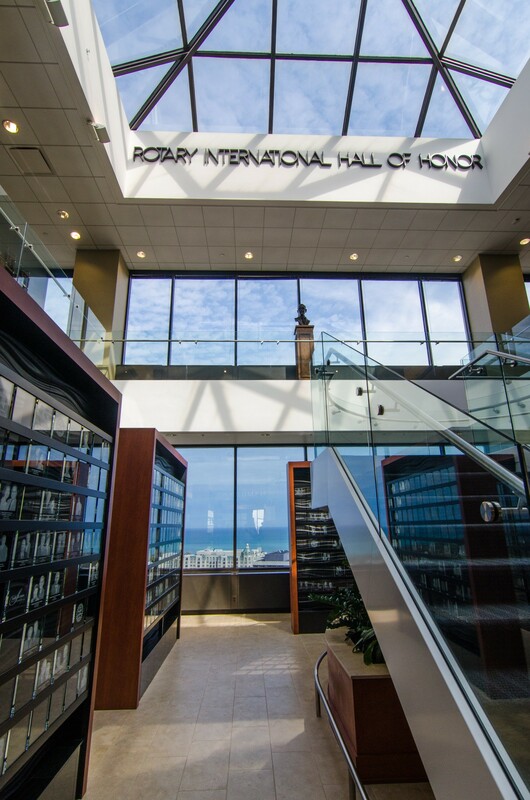 The 17th and 18th floors are linked by a light-filled atrium honoring Rotary leaders and donors. 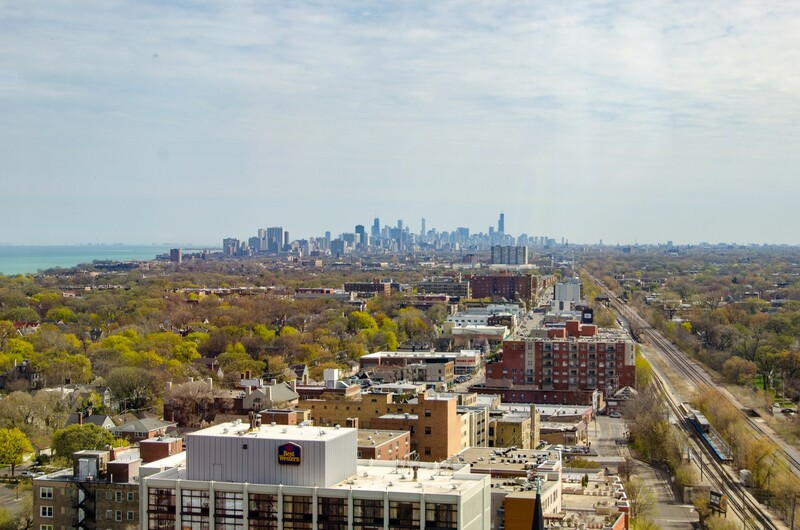 The Board Room (equipped for simultaneous interpretation) and office of the president offer sweeping views of the lake and skyline. 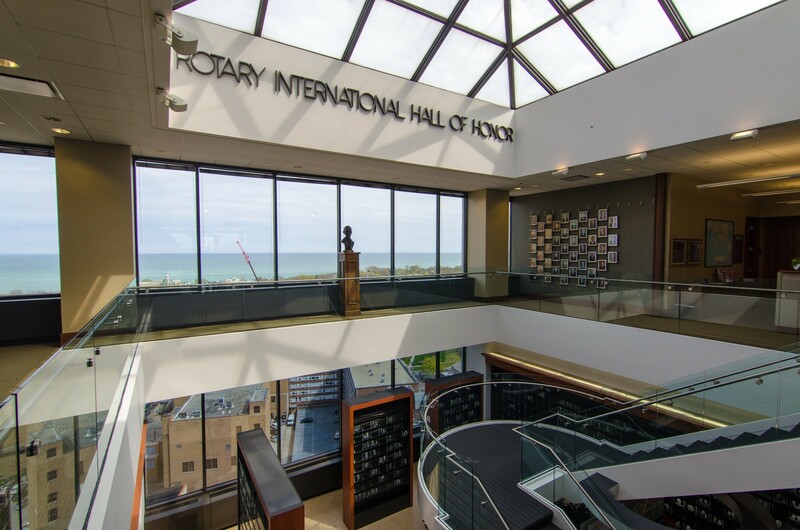 Enjoy a behind the scenes tour of Rotary headquarters’ LEED building features. Guests must be at least 16 years old to attend. Tours are approximately 45-minutes long and depart at 10am, 11am, 1pm and 2pm. RSVP.